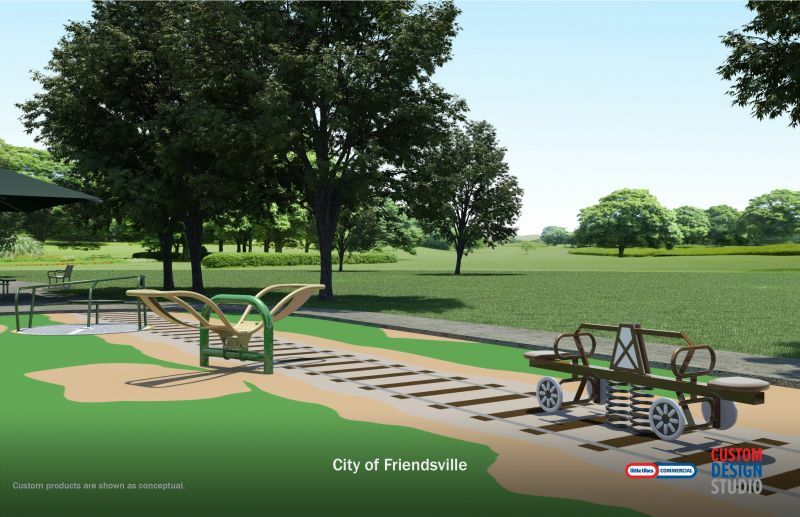 The City of Friendsville offers a wide range of events, from outdoor concerts, seasonal festivals, and sports competitions. We are currently working on a park grant for our community to provide a safe, and relaxing day to come with your family for an afternoon of outdoor fun. Please help us by signing the petition to help so your support. 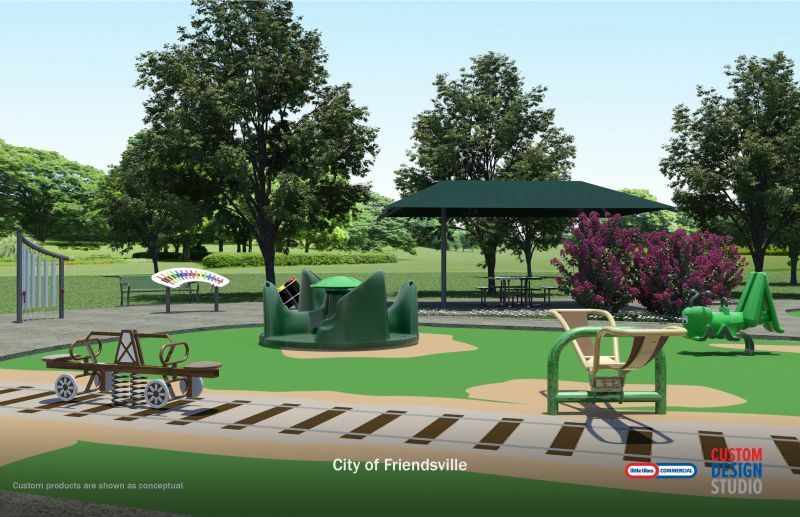 Come out and meet your neighbors and enjoy all of the many things that make the City of Friendsville a great place to live! PLAY IS ESSENTIAL TO ALL CHILDREN! Remember what recess was like when you were in school? For most kids, it is their favorite time of the day. Unfortunately, some students do not have the opportunity to experience recess the way their peers do. Most playground surfaces are covered with mulch, pebbles or even sand. For someone in a wheelchair it is hard to navigate on that type of surface. Even most playgrounds that are handicap friendly have little to no equipment that an adult/child in a wheelchair can even access. When an adult or child has a disability, that does not mean their need for outside time is lessened. Outside time along with playtime is an essential component in the lives of children. Play directly affects our physical, mental, emotional, and social well being. Through play, we are able to define who we are and who we want to be. We are able to improve our physical fitness, build skills, work on problem solving, practice communication, set goals, share expectations, understand roles, and develop friendships. Through inclusion we are able to develop greater understanding of one another, our similarities, our differences, our likes, our dislikes. We are able to develop a sense of value for each individual as we grow the skills and attitudes needed to live in a culturally diverse, enriched community. Inclusive play facilitates a non-threatening environment that enables us to develop, grow and learn from one another at various paces. While one child may not be able to climb or swing as high as another, an inclusive, accessible play area will still enable both children to communicate and learn about one another and from one another. The point where the play area stops being accessible, is also the point where their ability to continue learning from one another stops. This also becomes the point where misperceptions have greater ability to grow. 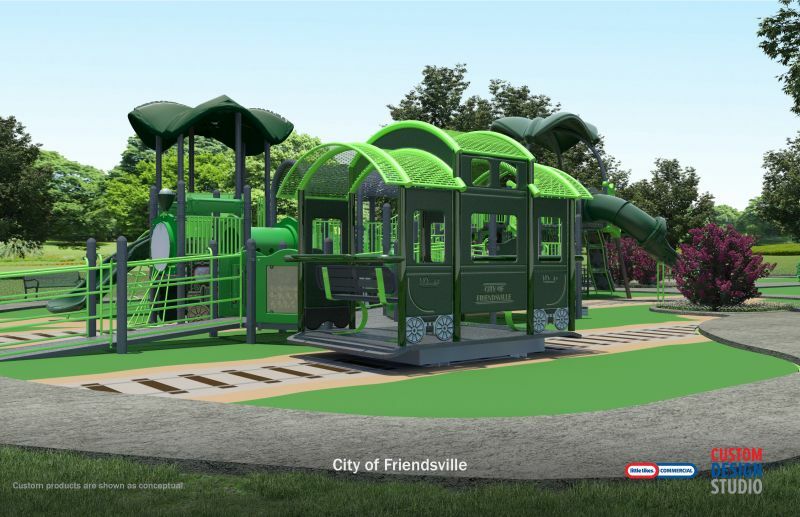 Our goal is to design and create an inclusive playground for everyone to enjoy, one that addresses the needs of typically developing children as well as children with neurological, intellectual and physical disabilities. Our goal is to provide an inclusive playground that accommodates all children and challenges each of them at their own developmental levels. There is a huge difference between a playground that is simply ADA compliant and one that is truly inclusive. Just because the equipment on a playground may be considered ADA compliant doesn’t necessarily enable a child with a disability to actually use or interact with any of it. 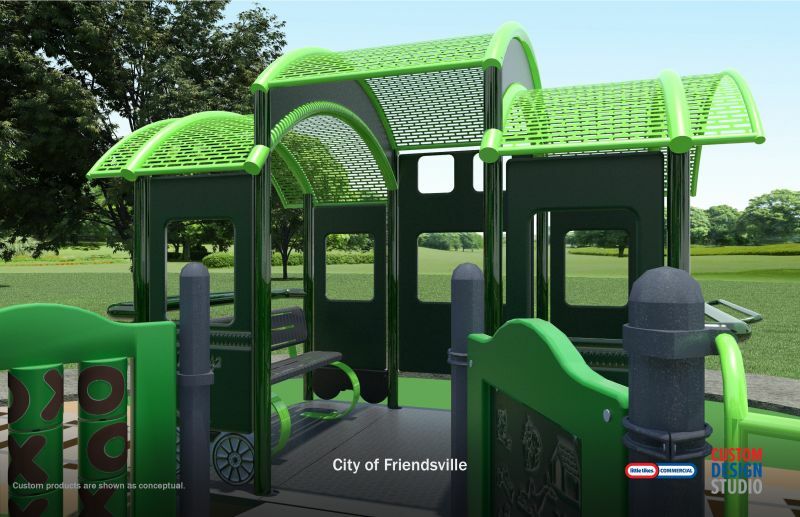 City of Friendsville plans to create a truly inclusive playground that will go far beyond ADA compliance in that it will be designed to encourage children of all abilities to play with one another. This is a playground that has better surfacing, enabling a child using a wheelchair to maneuver through the playground easier, has activities to challenge children and is rich in sensory activities, social experiences and physical play. © 2019 City of Friendsville, TN. All rights reserved.